Adventurous outdoor activities, a thriving arts scene, an urban renaissance, culture and exceptional cuisine...in one destination? It all exists in Reno, Nevada. While Reno is the birthplace of gaming and casinos make up its integral attraction, there’s even more fun to be had at 4,500 feet. In addition to its colossal gaming industry, the “biggest little city in the world” has much to offer in arts, culture, recreation and even relaxation. Reno’s downtown district has become the hub for the burgeoning arts scene. The Nevada Museum of Art hosts rare and celebrated exhibits year-round in a modern architectural masterpiece situated among quaint historic buildings and scattered high-rises. The homegrown art scene is also booming. Independent and up-and-coming musicians and artists of all mediums are sprouting. Their influence has fueled the city’s artistic enrichment. Reno residents and visitors alike take advantage of the climate and partake in a month-long celebration of arts and culture, Artown. Formed in response to the growing need for cultural and creative channels in the area, Artown remains one of the nation’s largest and most diverse arts festivals. With an event or activity each day of the month, July explodes with music and artistic expression of all forms. For an adventure-seeking traveler, Reno and its nearby neighbors grant visitors a plethora of activities. Allow Grand Sierra Adventures to plan your outdoor excursion. From sight-seeing tours to cruising on Lake Tahoe and ATV tours through Plumas National Forest, to rafting and kayaking down the Truckee River, you’re covered. 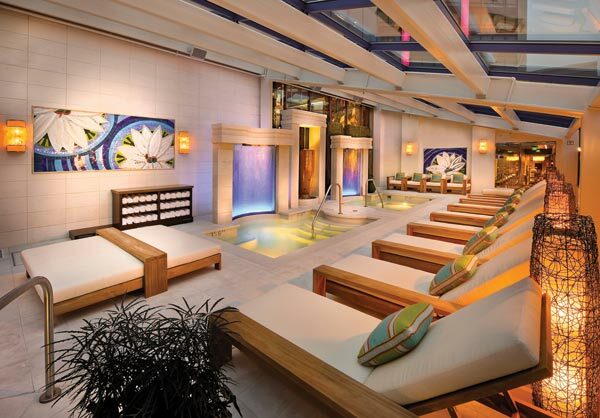 Unwind following a day of excitement at Spa Atlantis. Serenity awaits guests who desire an exceptional spa experience. Cool hues, hot rooms, and guest-centric treatment rooms, coupled with a fitness facility and aqua lounge to indulge in hydro luxury, create an environment of idyllic tranquility. A visit to the National Automobile Museum is in order for anyone who appreciates cars and history. Stroll down period-style street scenes, through a century, beholding our country’s greatest invention and take in the rare, extravagant, and even the outlandish. Knowledgeable docents and staff help create an unrivaled ride through vehicular history. 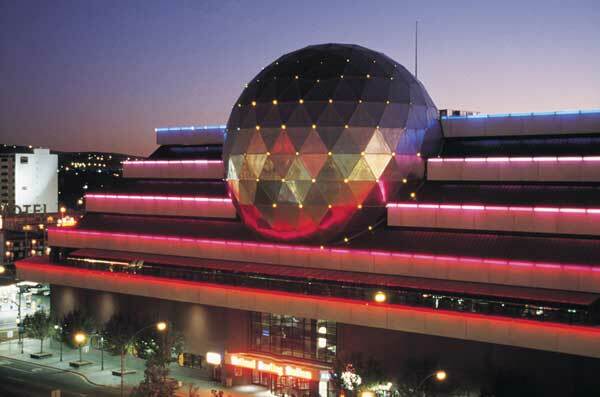 From memory lane to the bowling lane, Reno provides visitors with an unparalleled experience. Dedicated to the sport of bowling, the National Bowling Stadium is the filming location of the 1996 hit Kingpin. The mammoth structure and 78-lane facility boasts the longest video display system in the world, and the Stadium Club, an entertaining spot that offers impressive downtown views. Magnificent dining in Reno may be one of its best kept secrets, but not for long. For an ultimate steakhouse experience with an understated elegant flare, Atlantis Steakhouse fits the bill. Their extensive menu, elegant-chic dining room and drink menu is a best bet. Also serving up fresh, local bites with a hip midtown vibe is Sezmu. Artfully created courses and a heavenly dessert menu complement the fine dining experience. The art district’s The Cheese Board is a local favorite offering bistro fare and an extensive wine list. The area also boasts outstanding ethnic menus, and now that Reno’s dining secret is out, tables may be harder to find. Reno may forever be a gaming mecca, but it’s also evidence that there’s room in the biggest little city for culture, history, adventure and fabulous food.